For centuries, Venice has been a leading commercial port in Europe. Its particular position, at the top of Mar Adriatico, was perfect to trade with, from one side, Balkans, Orient and Africa, and, from the other side, North Europe. Venice commercial attitude changed its history forever and it is still visible all over the city. However, beside richness and power, the trading brought other events that deeply influenced the life of this city: plagues. One of them hit Venice hard between 1630 and 1631. At the end, almost 80,000 Venetians died and 600,000 people in its territories. Among the deaths, the highest political and religious powers: the Doge and the Patriarca. In order to celebrate the end of the plague, the city decided to dedicate a church to the Vergin, whose cult was popular around Venetians: Basilica di Santa Maria della Salute was finally built. 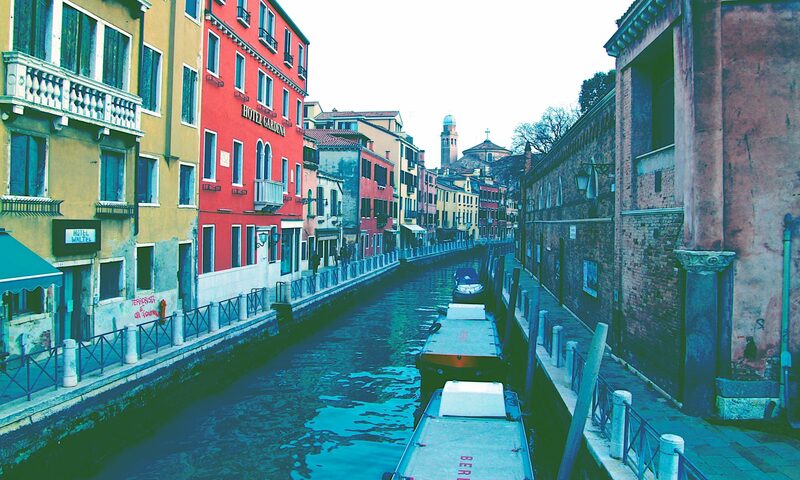 Its position in front of St. Mark’s basin, few blocks before Punta della Dogana, makes it so special and charming. From its bleachers, it is possible to see Palazzo Ducale and Campanile of St. Mark. There, it’s also a nice spot to enjoy a cool view of Canal Grande and Punta della Dogana, as well as of the big square just in front of it, where bunch of people are always coming and going. Since it was such an horrible plague, Venetians remember the end of the death plague still today. Every year, on 21 November, a bridge is built, crossing Grand Canal to this church. Through the bridge, Venetians can reach the church to pray. It is a very traditional pilgrimage between St. Mark and Santa Maria della Salute, similar to that of Redentore, the other big traditional event remembering the plague. Next time you pass by on your way to Punta della Dogana or St. Mark, stop one second and stare at it, you will certainly feel its history and its charming beauty. It is something you can’t really miss.